Denied the chance to deliver his farewell address in Parliament after 35 years in the House of Assembly, former Prime Minister Hubert Ingraham releases his speech via the media. A larger than life political figure, Ingraham headed three administrations during the 15 years he held the nation’s most important job. Ingraham said that he had been promised the opportunity to speak early in the House of Assembly proceedings. The House was packed with FNM supporters, members of the media and members of the public all anticipating that the former Prime Minister’s address would be the first item topping the Parliamentary agenda. After being told that he would be allowed to speak at some point later in the House proceedings, Ingraham packed up his things and left, releasing the speech to the media shortly after. Hours after his Free National Movement (FNM) government was defeated in the May 7 general elections, Ingraham announced his resignation both as party leader and as the Member of Parliament for North Abaco, a constituency he had served for eight consecutive terms, beginning at the age of 29. His resignation was an unprecedented move. Although, a long-held custom of various parliamentary democracies, Ingraham was the first defeated Bahamian Prime Minister to take such an action. 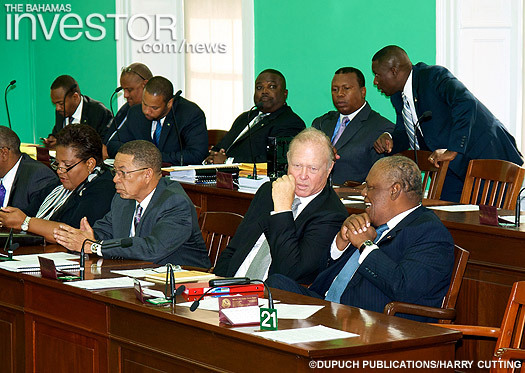 Former Bahamas Prime Minister Hubert Ingraham (front row right) at his final sitting in the House of Assembly, ending a 35 year political career. Ingraham came from humble beginnings having been raised in a small Family Island community where people got water from open wells, lit the night with kerosene lamps, had no paved roads and no telephones, and limited education facilities. A “true political nobody” when he entered politics at the age 25, Ingraham says his career was filled with the highs of victory and the crushing blows of defeat. During his time in office, his government ushered in sweeping changes that helped to not only deepen democracy, but also to modernize and transform the nation. He outlined the majority of his government’s accomplishment in his speech. Among them were the liberation of the airwaves allowing private broadcasting for the first time; facilitating the introduction of modern communications including cable television and the Internet; computerizing the public sector; enhancing and increasing social welfare programmes for the needy; modernizing the Customs Department and lowering the average custom duty rate on imports; reducing the size of the House of Assembly by 11 seats; and establishing a resident Court of Appeal. An Ingraham-led government also established the Bahamas Investment Authority (BIA) – a one-stop shop for investing in The Bahamas; modernized the financial services sector, strengthening its regulation and oversight; created the Securities Commission and the Bahamas Securities Exchange (BISX) unleashing the potential of a greater shareholding society; reduced the work-week from 48 to 40 hours; introduced minimum wage in the public and private sectors; improved protections and safety standards in the workplace; increased maternity benefits; and introduced familial leave in law for the first time. His FNM government also expanded and upgraded public infrastructure throughout The Bahamas including the provision of basic public utilities such as water, electricity, and land and cellular telephones to Family Island communities, some for the first time. Noting that the work of the House of Assembly is never finished, Ingraham expressed his hopes for continued progress on several fronts, including a reduction in the level of crime, a better educated and skilled workforce, a reduction in the rate of growth of government debt and a return to sustained economic growth, and the facilitation of a more efficient and productive judicial, legal and public sector. Today, Ingraham said, The Bahamas is a different and a better place than it was when he first entered Parliament. The former Prime Minister also delivered an apology of sorts to those who were troubled by his no-holds barred approach to governance. Ingraham’s resignation takes effect on August 31. The Financial Services Minister's tour of the new Coca-Cola plant and the knock-on economic effects of the London Olympic Games top the news stories for the ZNS Business Beat report. Watch the full report here. 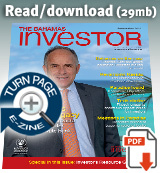 Corporate asset recovery, insolvency, forensic accounting and business advisory services firm, KRyS Global Bahamas scoops prestigious magazine award in international competition.